If you are thinking about a bible study book for your young daughter, you will want to read this! 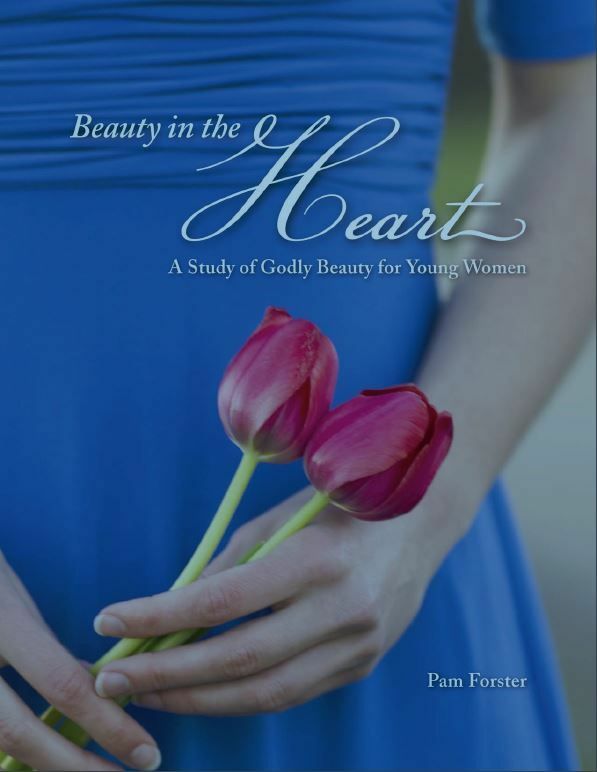 Doorposts has just released their newest book called Beauty in the Heart. This book is seriously hot off the presses! You can order it now AND get a free pdf, too, if you order before the end of the month. I should probably tell you a bit about it first, though, huh? Well, I have never done a bible study with my kids. Honestly, I have wanted to incorporate a bible study book into their school day, but just have never found the right one. That may seem strange to some… I mean don’t ALL homeschoolers do a bible study? Nope… they don’t. And, the reasons vary, I’m sure. I just had never found one that jumped out at me as the right one. We still teach about God, of course. He is intertwined into everything we do! This book has truly been a wonderful study to do with my daughter. It is 128 pages with 10 Studies, with the 10th study being a review. Each study varies in the number of daily lessons there are, but it will be as few as around 6 or as many as 14. The lessons take anywhere from 5 minutes to 30 minutes to complete (very few take 30 minutes). The book has 86 days worth of study material, with an additional 45 study ideas dispersed throughout the book, that are at the end of each chapter. It’s not a bad idea for boys to sit in on this bible study so that they can hear about how God would like women to be viewed. That being said, I really enjoyed having one on one time with Samantha to dig into the bible together! We chose to do the study every night before bed. She and I would go to her room, sit on her bed, and do the studies together. I know the Bible, but definitely not as well as I could, so this study has been great for me too. Okay… I have never written in a bible. I know people do this, but it has always felt strange to me. Like I would be doing something wrong! Using Beauty in the Heart, you are asked to highlight or underline certain words/passages. We did it, because that’s what we were told to do… and I like it! I realize now, it is just a way to be able to study the bible in a deeper way. This study will help your little girl to know the difference between Godly beauty, which shines from inside her heart and outward, from worldly beauty, which is obtained from make-up, jewelry, pretty clothes, etc. Let me be clear though, the book is not trying to tell you or your child that all those things are bad. It is just trying to help our little girls distinguish between them and to help them find their beauty inside. We have always talked to our kids (boys and girls) about their beauty that shines from the inside. We teach them that their actions will greatly determine their beauty. This book is helping to reinforce that with God’s word on the subject. We are not finished with the book yet and we will definitely be working on it nightly to finish it. We don’t just do it a few days a week. We do it nightly. Now, we do miss a day here and there, depending on when we get home, but I am enjoying our nightly bible study together and I think my daughter is too. I do highly recommend you get this book to help you and your daughter on your journey to help her know her inner beauty. This looks like a great gift for my homeschooling friend that has been looking for a way to incorporate Bible study into their school day without having to switch to a different curriculum. She has FIVE girls, so she could definitely use the lessons! Thanks for the gift idea!! That’s awesome! It would be cool to do the lessons together. Would probably be the start of some wonderful conversations!